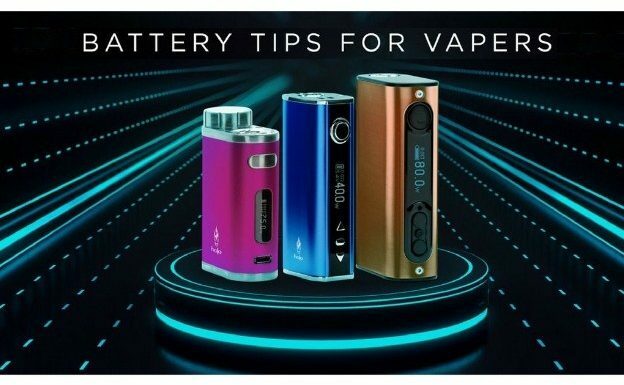 When it comes to vaping, batteries are crucial parts, as they power the vaporizer to heat the e-liquid so it turns to vapor, which the vapers then inhale and enjoy. Have you come across stories of vapes or e-cigs exploding and causing injury to people or posing other risks? Well, the explosions are rare occurrences, but they can be dangerous. Although the causes of such explosions have not yet been established, some evidence links them to battery-related problems. Are you wondering how you can make your e-cig batteries last longer or give you a better experience? It is possible to extend the life of your vape mods by taking good care of them and ensuring you follow the recommended steps. This will save you money that would go into buying new batteries or devices and guarantee you a healthier nicotine intake. Different batteries are meant for different uses—some are intended for low wattage vaping, others are best used in sub-ohming, while others are not designed for vaping at all. It is paramount as you pick the batteries for your mod to ensure they are of the proper specifications. While you can read the numbers that are on the wraps to identify the battery specs, it is important to research and get to know the best battery from users’ reviews and other more reliable sources. It is not advisable to leave your charging batteries unattended, especially overnight. Being electronic devices, chargers are subject to defects and failures, even if these are not so common, thus the need to keep an eye on the charging batteries. In case you are away from the charging batteries, keep them in battery cases. It becomes necessary to choose your own battery if you buy a vape mod that does not have a built-in battery. Also, most stand-alone mods do not come with batteries included, thus it is vital to get high-quality batteries for them. You should buy vape mods, batteries, and other vape supplies from well-reputed brands and manufacturers, like epuffer. Such manufacturers have many years of experience in making and selling top notch vaping accessories, and you can be sure you will get value for each dollar you spend on their products. Do you want to stop replacing your batteries so often? You must avoid fully draining them. Lithium-ion batteries, which most vape mod batteries are, tend to lose more of their capacity the further you allow them to discharge. The best thing is that most of the batteries have some way of indicating their battery level. You are likely to prolong the life of your battery (the number of cycles you will manage to get from them) if you have your batteries charged before they are completely drained. You can charge your batteries directly in your mod with most of the modern devices. However, it is a better and safer option to have a dedicated charger for your vape mod batteries. You may have to forego a bottle of e-liquid, like a 60 ml bottle, to buy a good charger, but the benefit will far outweigh the cost. The extra amount for a good charger will allow you to have features like battery data and health monitoring. Also, do not use your phone or tablet charger to charge the vape mod batteries. Stick to the charger that came with them or buy a similar replacement. Whenever your batteries are not in use, avoid at all costs throwing them unprotected in bags or pockets. An investment in some cheap cases could go a long way to help protect them, as they may short circuit when left unprotected and come into contact with metallic objects. The effect of this is a possible explosion or venting. Unfortunately, with the three big brands—Sony, Panasonic, and Samsung—counterfeits are quite common, due to the formers’ premium prices. Counterfeit batteries are of low quality and pose risks of explosion and a poor experience when using them, as they are likely to drain faster. You do not get value for your money and may have no battery if you are somewhere that you can’t get a replacement or recharge. The temptation to leave your battery on the charger overnight is convenient, and understandably so. But even as convenient as it may seem, you will be cutting short the life of your battery and making its overall lifespan shorter. Do you leave your TV or other gadgets on when not in use? Well, then do not leave the vaporizer on after using it. Turning the battery off could save a good percentage of power. While vape batteries can withstand low and high temperatures, avoid exposing them to low temperatures. Too high temperatures will strain your batteries, thus making them age rapidly, and too cold temperatures will ruin their capacity. Use an insulated lunch box to carry them in extreme temperature environments.